In a cross-section of creativity, the Fashion Design & Inter-Arts program offers a worth-while experience to kids of all ages. Explore a wealth of diverse mediums and unique aesthetics to propel your eye for design forward. Courses are equally focused on developing your technical skills and artistic growth. Courses - All programs below are currently open for enrollment unless otherwise indicated. Saturday, July 6, 2019 – 9:30 a.m. 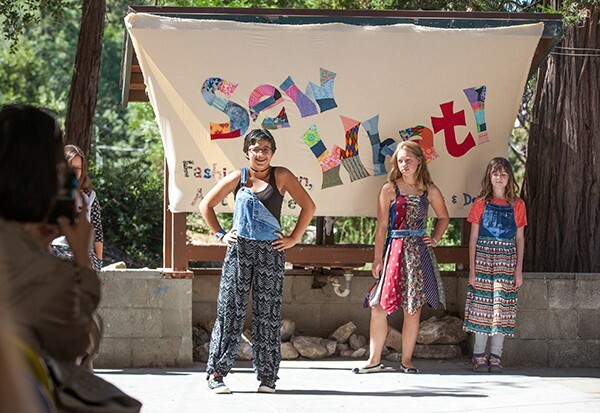 If you love color and design, jewelry making, fashion design, fabric, yarn, tactile art and up-cycling then this is the summer fashion camp for you! Come prepared to indulge yourself in creativity as you spend two weeks completely immersed in designing and creating projects using a variety of mediums. You will learn to use a sewing machine as you construct your designs. Take a ﬁeld trip to learn how to choose fabrics that best suit your designs and to gather more supplies to use in your projects. You will design and create an original, moveable, collectable mohair animal. Your additional projects may include mosaic, jewelry making, up-cycling denim and T-shirts, knitting, tie-dyeing, and silk painting. 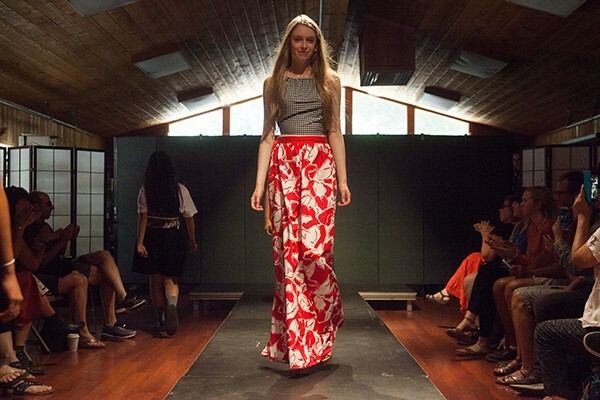 Your culmination will include an exhibition of your work as well as a fashion show. You should bring two pairs of old jeans (any size) and 5–10 T-shirts to be used in our up-cycling projects. Enrollment limited to 10 students. 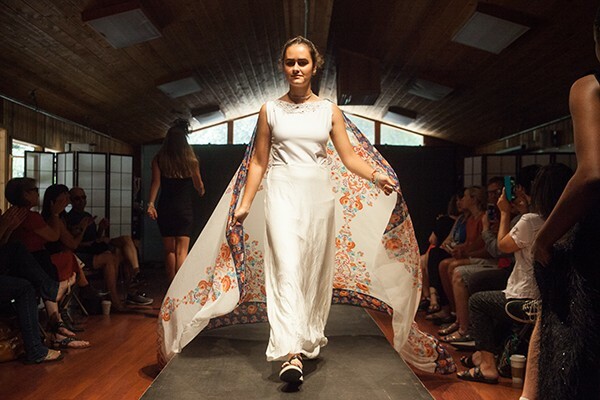 Saturday, July 6, 2019 – 10 a.m.
Immerse yourself in a thorough introduction to the exciting world of fashion design. 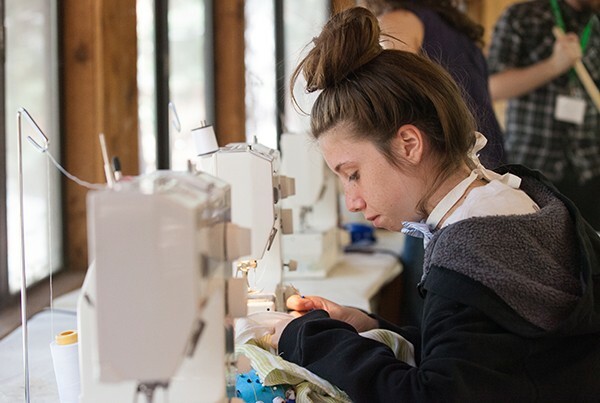 This inspiring summer art camp is for all students interested in fashion, with or without previous sewing experience. You will explore the world of fashion, experiencing the process of designing collections as you create projects reflecting your individual aesthetic. Your instructors will bring their professional experiences into the classroom, covering diverse aspects of this fascinating industry, such as fashion history, textiles, and how the clothing industry functions. You will participate in a wide range of exercises, including creating concept boards and color palette; selecting fabrics and trim; designing mini collections within specific themes; sketching from live models; cutting and sewing original garments; and styling and staging a fashion show. Session includes a field trip to visit places all related to the fashion industry. Previous field trips have included touring large company headquarters (Juicy Couture, BCBG), small design studios (Cerre), major designer retail stores (Opening Ceremony), fashion design schools (Woodbury University), and fashion exhibits (FIDM, BCBG). Enrollment limited to 12 students. Boarding Arts High School Academy Fashion Design Program.